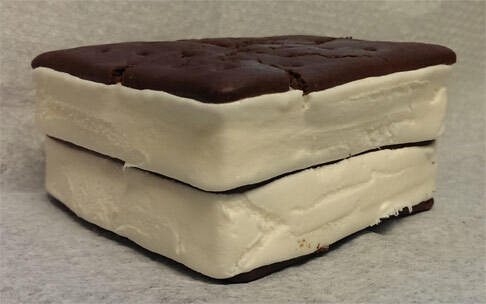 Now it's fine, I have no major complaints, but it doesn't have that same soft serve flavor pop that fat boy did. It's still good, and I will happily help polish off this box, I'm just throwing out the comparison. Don't forget that Nick and I did a unique double review of the chocolate version about a year ago. Now that I've had both versions, I'd definitely stick with the classic vanilla, but I tend to be a classic kind of eater. Also, and maybe this is box to box, but unlike the chocolate, these vanilla ones have a drier wafer that has a little bit of solid crunch to it, which I like. And that's that. 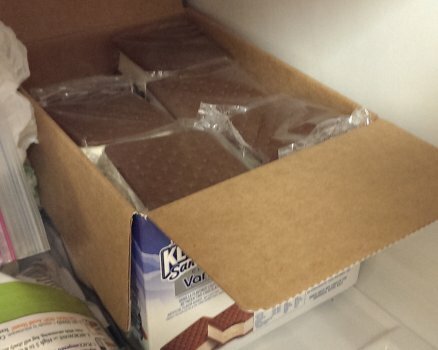 Just another standard product from Klondike, nothing special here, but nothing terrible either. 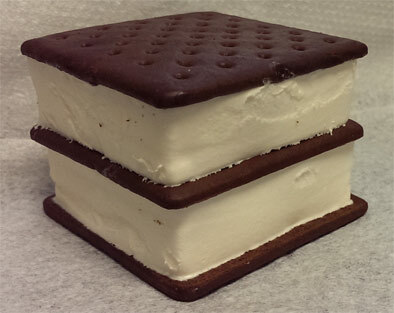 For the same calories as a few Oreos, I've had myself a nice lunchtime dessert. Feel free to try these, but if they are sitting next to a box of fat boys for the same price, go fat boy! 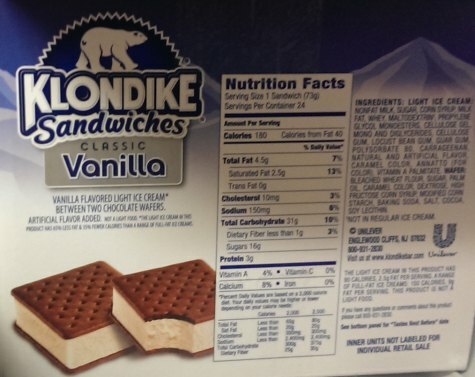 On Second Scoop: Since I seem to be eating most of these myself, I wonder if it would be wrong to have a little fun with them...... double decker klondike here I come! Owww owww owww. Too big! Ahhh, that's better. 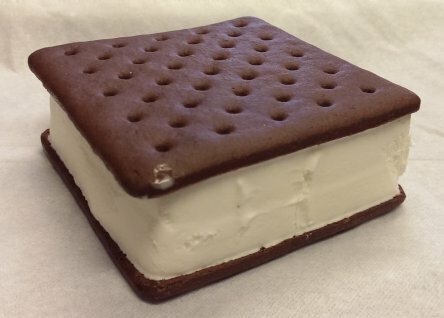 360 calories of frozen fullness.